Have you ever needed to print a paper in a hurry? With PaperCut Web Print, you can submit print jobs to campus printers in the Library and in the Daniels Hall open lab from your own computer, on or off campus. Where is my print job? In the library, log in at the Web Print Release Station by the printer (A,B,C,D or Xerox machine), and release your print job. * Print jobs that you submit through Web Print will wait for you for 12 hours. These jobs are deleted if you do not print them at a Web Print Release Station within this time. 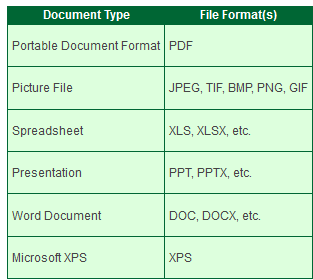 ** The following is a list of file types currently supported by the Web Print system.